Below is HD Pic of Markanda (Markandeya) Puja on Birthday as per the Old Himachali Tradition of Kangra District. This Markanda is made from rice flour and his eyes are made of black gram. In the Kangra belt of Himachal Pradesh is very common to see Markanda Puja on birthday. Markandeya is god of death; therefore, it is custom to pray to him for the long life of a person whom birthday is celebrated. 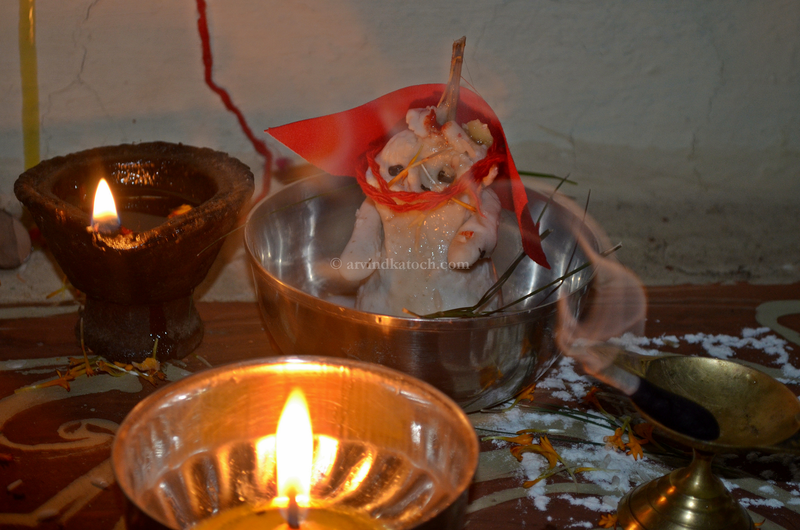 In rural Hiamchal, many old religious rituals and customs still survive and Markanda (Markandeya) Puja is one of them. This ritual is basically done for the long life of a person.